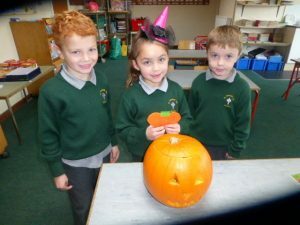 Ms. Byrne's 2nd class have been busy carving their class pumpkin, 'Spookley'! 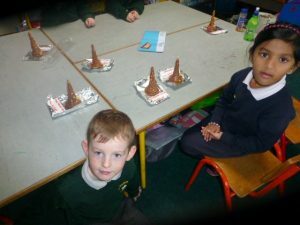 and 'trick or treat' bags which will be very useful at Halloween! 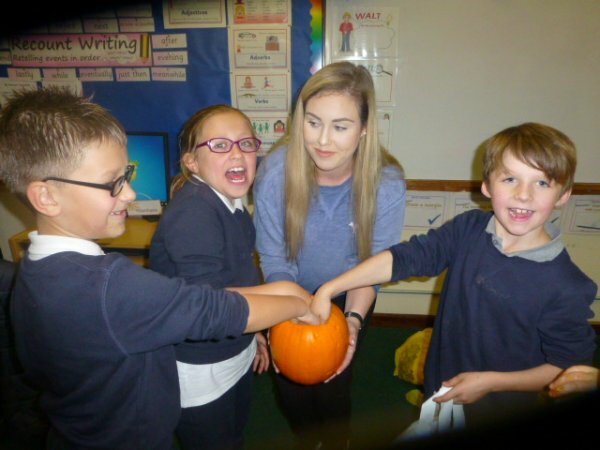 Ms. Hudson's 3rd/4th class had fun carving a pumpkin too.